If you want a large variety of game enhancements and money boosters, then Slotastic Casino bonuses will bring you right to its site. Occasionally you can find no deposit offers where you can put in a code and get money for free. And if you are a new player here, they have a solid sign up coupon code 300FREE which will give you a 150% match of up to $300. There are also frequent, random, bonuses for the second deposit, slots games, free spins, cashback vouchers, comp points, and new offers just about every day. They have a convenient promotions page where you can get promo codes and details about how they apply, so be sure to check it out before you play, or you might miss out on free money. While there are great bonus options available for both instant play and download gaming, there are no mobile app options. Players on iPhone, iPad, or Android devices will have to wait until Slotastic decides to make these additions. WinADay Casino offers a fair comparison in both game selection and bonus variety. WinADay can offer more upfront money for sign up, but Slotastic has such a large number of ongoing offers that it more than makes up for the lower amount in the beginning. These both work with software that accepts USA players, and the game selection is fairly even. The bonuses are what makes this site stand out above others of similar quality. The USA and Canada are the two countries where this site is most popular. US players have limited options when it comes to online casinos, and here they offer a great trustworthy option with bonus opportunities. Games and support are offered in English, and the currency used is the US dollar. Slotastic Casino bonuses apply to almost every slots game they have to offer, and you can find many of your favorites here. Some of the popular games they have to offer here are Santastic, Orc vs Elf, Lucky 8, henhouse, Regal Riches, Small Fortune, Jumping Beans, and Ocean Oddities. 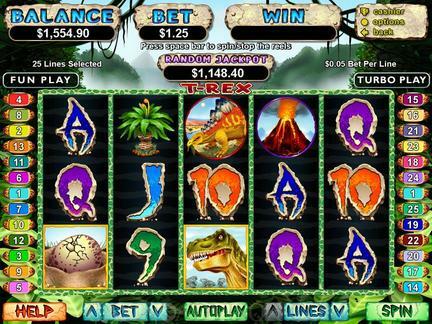 The slots selection here is large, as indicated by the name of the casino, and free spins can make your play sessions go on for hours. Many players at here enjoy progressive jackpot games for the opportunity to strike it rich. There are at least 9 different games with jackpot winnings, and some of the totals climb quite high. Some of the largest jackpots currently available are Jackpot Piñatas at $1,756,290; Aztec's Millions at $1,596,190; Spirit of the Inca at $911,390; and Cleopatra's Gold at #340,000. Recent winners on Slotastic include Kris Z. with $8000 on Double Double Poker bonus, Betty S. with $1316 on Let em Ride, and Rosemary C with $7000 on 7's and Stripes. With the higher withdrawal limits at this site, you can have a much easier time collecting the money you have won and enjoy it sooner. Great customer support can be found here 24/7 on live chat, email, or by phone. Most every casino experiences problems, and what is important is the way they are handled. This team wants customers to walk away satisfied and is happy to clear up mistakes as quickly and satisfactorily as possible. Support is offered in English, but translation can usually be obtained if necessary. This site is owned by Jackpot Capital Group, and was established in 2009. Real Time Gaming is the software of choice, and it is licensed in the British Virgin Islands. They have nice large withdrawal limits of 10,000 per week, as opposed to many competitor sites which cap out between 2,000 and 5,000. Customers repeat business here often, and therefore have given this casino a history of success. Sign up for Slotastic Casino was a breeze. The download and instant play options went very smoothly for me, and I enjoyed the attractive design, layout, and entertaining animation. I found no deposit codes, which update regularly and collected free playing money to boost my funds. There weren't many bonus coupons available for non-slot games, but slots make up the majority of what they offer here anyway. I wanted to see mobile apps for iPhone, iPad, and Android devices, but that isn't available as of yet. Even so, the vouchers, promos, comp points, and great offers made this place very enjoyable. I think Slotastic Casino bonuses and games deserve an overall 3 rating, and I will definitely come back again soon.